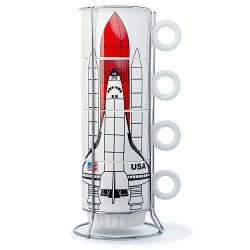 These stacking mugs are both decorative and fully functional! 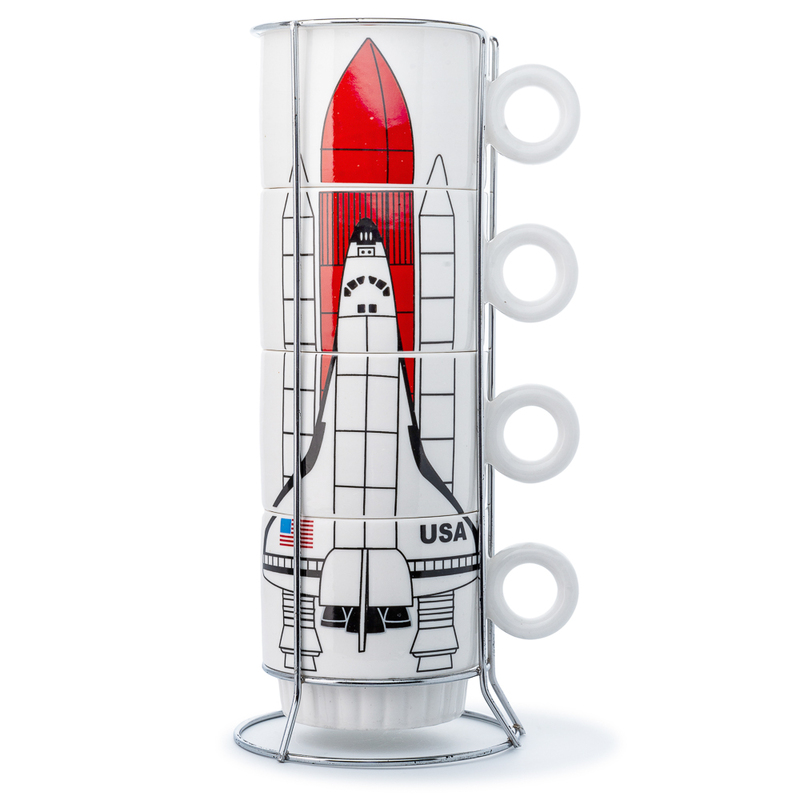 Ceramic mugs stack together to create an upright space shuttle with boosters. Set of 4 mugs and wire rack included.